I live in Ontario and experience all four seasons, and some can be extreme, but as soon as that first robin appears in the spring, we open the windows and doors and spread out to the patio and yard. Now, as many people wish to enjoy their yards more and more, the outdoors looks just like indoors! There can be a significant investment in the outdoor furniture and even the flooring such as decks and stone patios. But what do you do with all that furniture in the off seasons, such as winter or even just a few rainy days. You could scramble at the first sign of rain to get the cushions indoors, but you really don’t want them all over your house for months at a time in the winter. You need to come up with a system. The best way to protect your investment is to clean your furniture and add any protection it may need, such as with wood, and then cover it properly where it sits. Unless you have the room in your home to start hauling in sectional couches and outdoor dining tables, it is best to clean and put away the accessories and then cover the frames. Even the accessories can accumulate outside. Everything from the cushions to throw pillows to art to all the accessories you have brought outside to enjoy the season. 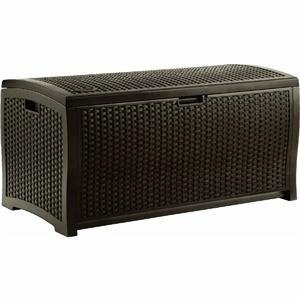 Depending on how much “stuff” you have outdoors, such as patio toys etc, you can invest in a storage box such as the one above that you can keep on your patio. You can store your cushions in here and many other things. You may think, why not just put them in the garden shed? Unless your shed is a fortress, mice just love cushions to nest in over the winter. We made that mistake once with a throw pillow and it was a chewed up mess come spring. A good storage box should be mice proof. Make sure your umbrella is clean of any insects that might nest over the winter, give it a quick clean and then place the umbrella cover overtop, you could then store it in the house, garage, or leave it where it sits with this cover for protection. 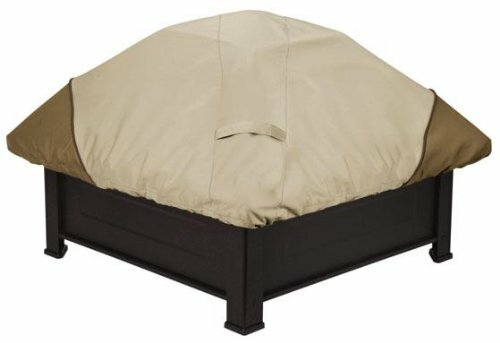 For a small investment, you can purchase weather resistant covers online. But you still need to deal with the cushions. You need to store them separately and then cover the furniture, or mice will find a way in under the cover. The cushions are best kept either indoors or in a tight fitting storage accessory box as above. Push your furniture together and then find a cover that will fit the area you need. 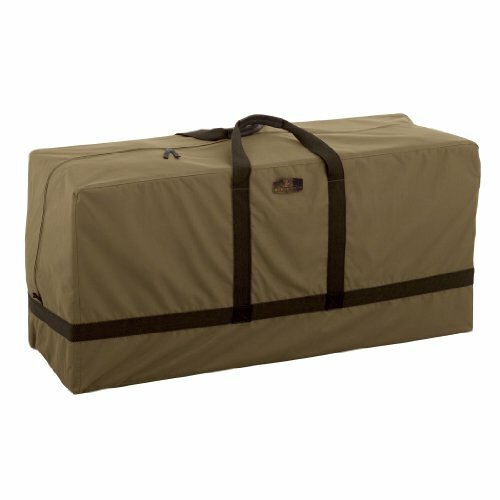 This will protect your pieces and then in the spring simply remove the covers, they even stay clean! With single chairs, you can move them all together on the patio and remove their cushions and fit a cover over them, but it is a bit harder with a outdoor sectional couch. These are gorgeous in the summer time and so comfortable, but come the winter, what are you going to do? You can get covers that are specifically designed for the sectional couch. When we allow in our budget for some comfortable outdoor living areas, we don’t always think about the off seasons. If you can get a cover that comes with the couch, it is worth the extra costs. There are serious investments into these outdoor pieces, so you want them to last as many seasons as possible, especially wicker style. This is one part of the outdoor living that I personally feel you have to find an indoor storage for. Cushions are a target for small critters such as mice, and over the winter they can keep busy shredding your expensive cushions. If you want them to last more than a season, then you can get special bags, such as the one above, that keeps them together, but I would then store this in my basement or closet or high on shelves in the garage if it is a mice free zone or invest in a few sealed tight outdoor storage boxes. That way if you need to store them outside you will be doubly protected. Everything else with a frame can be covered outside, but you could package your seat and couch cushions is these specialized bags, which work much better than garbage bags, and store them neatly away, so that come spring, you simply uncover the furniture, then unzip the bag of cushions and you are set for another season. You don’t need to spend days putting everything back together. As you slowly migrate back into the house for the winter, and cover all your furniture and bring in your cushions and fill that outdoor storage box with all the toys and accessories what happens to that expensive fire pit? You shut off the gas, and give it a clean, but these can be expensive, so consider investing in a cover that is specifically designed for the top of the fire pit. This way you simply cover it where it sits and it’s ready for the spring and doesn’t fill with snow. I remember as a kid, anything that was outside was simply stuffed in that old shed. If you got a couple of years out of your webbed folding chairs or those plastic tables you did well. Or they were left leaning against the house and the webs would all dry out or the frames would rust. But now that we expect the same comfort outdoors as we have indoors, there is a lot more money being spent and a huge outdoor furniture and living industry. So, you need to consider storage especially if you don’t want to be living with double the furniture in your house. That is not a practical solution if you own large pieces outdoors. So, instead of dragging them in, cover them. 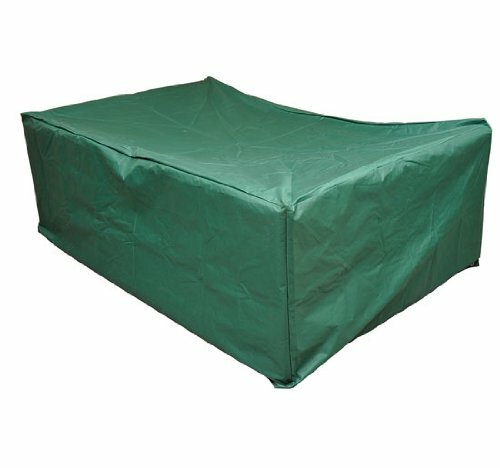 These covers are an affordable solution and will protect your pieces so you can enjoy them again next year. If you are handy, you can quickly create your own storage box for all those accessories. In this video, he also sprays it with a waterproofing solution to keep things dry. My mother’s answer to the storage of cushions was to vacuum them every fall then store them one by one under couches and beds! Come spring we went through the house and pulled them out. This works too, but might not be that practical for you, but a quick and easy alternative to storage boxes. Protect your patio living and simplify your storage. 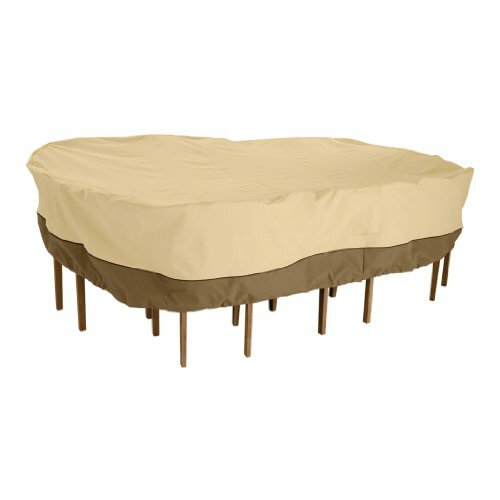 I live in Ontario, Canada and the winters can be harsh on outdoor furniture and they are so expensive to replace. So by being proactive and covering them in the fall can extend their lives. Thanks for stopping by!